Returning to Miss Croft’s remarkable collection of anecdotes recorded of Sir Thomas Lawrence; the following story, while not precisely contemporaneous to the Regency, is nevertheless illuminating of the times. It concerns the painter’s younger days when he enjoyed the patronage of Georgiana, Duchess of Devonshire. 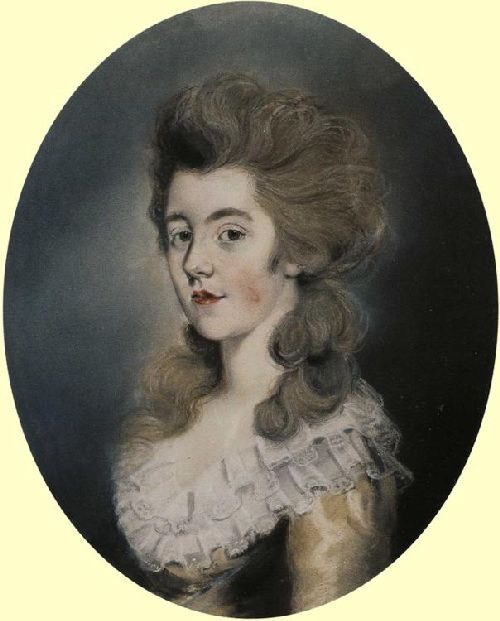 It was she who had engaged him at a young age to draw the portrait of her first child, later known as Lady Carlisle. He was frequently among the Devonshire set as he grew older. Miss Croft surmised that it was this period of his life by which he achieved his air of amusing urbanity. Regrettably, among her many foibles, the Duchess was quite unable to turn down any application made to her for aid. She made promises she could not keep. She committed largesse she did not have. 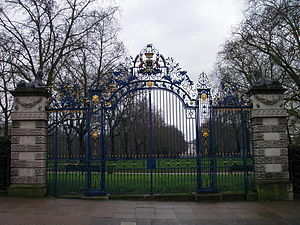 Sir Thomas had the opportunity to witness Mr. Hare’s skill in this regard one evening, when he was invited to Her Grace’s salon at Devonshire House. There, the painter joined by several great Whigs of the day, including Mr. Fox and Mr. Sheridan. Mr. Hare was there, too, and of course the Duchess was presiding. However, she jumped up to leave, having remembered she needed to write a letter. Protestations were heard all round. Mr. Hare declared he must write the letter in her stead, for her company was too dear to spare. Her Grace admitted that the letter would serve her purpose very well, to everyone’s amusement. Even more amused were they as Mr. Hare signed the letter in the Duchess’ name. But when she dared Mr. Hare to address it properly, the amusement ended. Georgiana’s eyes filled with tears. It was some time before she could regain her composure, however, Mr. Hare remained in her good graces. Apparently she could not admonish one who knew her so well. This entry was posted in Regency, Uncategorized and tagged Devonshire House, Duchess of Devonshire, Francis Hare-Naylor, Georgiana, Lady Carlisle, Miss Elizabeth Croft, Sir Thomas Lawrence by Angelyn. Bookmark the permalink. Great story, Angelyn! Mr. Hare sounds like a sensible and resourceful fellow. I wonder to whom the duchess had originally intended to send that letter? It could have been any “body,” I suppose. But the notion that it could have been someone particularly important to the Duchess is intriguing, I daresay. Always good to hear from you, Mimi.